Business continuity planning is fundamental to any business plan. Whether you are a sole trader, partner, LLP or company director where the main objective is to ensure the efficient running of the business in the event of any disruption. This could happen if you became incapable of running or making decisions about your business through illness, incapacity, serious injury or even just being out of the country on holiday, even if the loss is only temporary. If you have a business and you become ill or have a major accident, you would find that your absence makes it difficult for your business to operate effectively if at all. It might mean that no-one is authorised to sign on the business account or worse still the bank may call in loans and freeze accounts. The business could even be prevented from paying wages, entering in to contracts, paying invoices, authorising sales and buying stock. Perhaps worse still, if you lost mental capacity, you and your business would be at the mercy of the Court of Protection, who would appoint a Deputy to run your affairs which would not only be very costly, but take several months to set up. Having a Business Lasting Power of Attorney in place for your business interests will help to prevent these problems before they even arise. You should also bear in mind that authority given to attorneys through a personal Lasting Power of Attorney may not extend to carrying out the duties of a director. It is possible to have two Lasting Powers of Attorney; one for your domestic financial affairs and one appointing separate attorneys for your business. 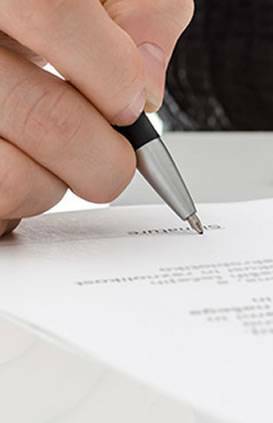 A Business Lasting Power of Attorney is an essential document for all business owners.